The main six medieval towns are incorporated into the Domesday Book which was written in 1087. It has been impossible for many centuries now to get to the root of the exact numbers and figures of these medieval towns in England as there has been no census to give numbers of population hinting how many were dwelling in these towns throughout the years. When you hear the word medieval, usually connotations of gruesome stories come to mind. But did you know that there are many interesting facts about medieval towns, especially in England that you may not have known about? These towns usually grew around areas where people could easily meet, such as crossroads or rivers. A good water supply was absolutely crucial if the town’s people were going to survive and prosper. Therefore the rivers were mainly used for drinking and washing, also getting rid of waste if inhabitants had not thrown it in the street. 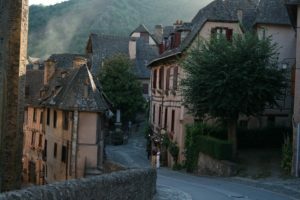 People who dwelt in these medieval towns usually visited other towns nearby in order to trade and instead of having police or guards, the people in charge of the town had to take any steps necessary to make sure that the town was safe and its inhabitants were out of harm’s way. For example, large fences were built to ensure that intruders could not easily get behind their walls and enter into the city. Cities such as York and Canterbury had city walls that served the same purpose – however, this was considered a luxury as lots of money was needed in order to build a sturdy wall. Within the medieval towns in England, there were sheriffs who went about collecting the tax, like today’s equivalent to the government and our workplaces. In order for a medieval town to be successful and have a good reputation, this meant that it had to have many merchants as this meant more tax could be collected by the lord. However during the medieval period, little actually knew how to read or write therefore this tax system was corrupted and did not work out for everyone’s benefit. Therefore a charter was something that was needed in many medieval towns. A charter gave certain rights to people such as collecting taxes and getting rid of corrupt sheriffs that were taking money for themselves from people’s taxes. The medieval towns in England were dirty places to dwell in, the sewage system was extremely bad as waste was simply thrown out on the street so health and hygiene were very poor within this period of time.